Arlington is a place where history and fun intersect. And while we’re proud to have some of our nation's most impressive monuments and memorials, Arlington's neighborhoods are also home to countless special spots and experiences: intriguing, off-the-beaten-path, and perhaps unexpected. Set out by foot, Metro or bike for car-free fun in Arlington and the nation's capital! 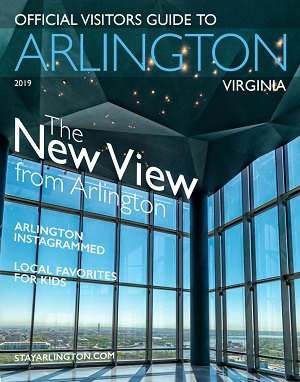 In addition to our many historical attractions, Arlington offers visitors first-class shopping, diverse dining and an eclectic local arts and entertainment scene. Here, you can discover American treasures including Arlington National Cemetery, the Marine Corps War Memorial (Iwo Jima), the Air Force Memorial and The National 9/11 Pentagon Memorial. And when you’re done, you can experience Arlington’s charming restaurants and cafes, funky boutiques, nationally-renowned theater and intimate live music venues. Plus, we're just minutes by Metro or car to the National Mall and other regional attractions. When you stay in Arlington's walkable, Metro-centered neighborhoods, you get the best of everything when it comes to national historic attractions, local culture and fun! To help plan your visit, or for recommendations on attractions and itineraries, stop by Arlington's Mobile Visitors Center or call (800) 677- 6267.